Is skiing in your bucket list? Skiing is something that is on almost every traveler’s bucket list. I have always has a passion for skiing, and I have been all over Europe trying to find the best slopes! and hopefully, one day I will find the ultimate slope for me. But for now, I thought I would share some tips for planning a skiing trip as a beginner, so you can have just as much fun as I do! There are various skiing destinations to choose from, but for me, it has to be Switzerland. Renowned for it’s high-class skiing and fantastic slopes, if you are going to learn to ski, Switzerland is the place to go. Switzerland might be one of the best places to ski, but it is also one of the most expensive. That doesn’t mean that if money is tight you can’t ski in a Swiss resort. However, what it does mean is that you need to be choosy about the resort and accommodation that you opt for. Believe it or not, even when skiing in Switzerland, you can make your trip affordable. The key to doing this is planning; search for deals online and book in advance. Another way that you can save money on the cost of your trip is by visiting at the start or end of the season. Skiing is cheaper than as good-quality snow isn’t guaranteed. The resort that you pick will depend on various factors; your budget, skiing ability and the type of trip you want. If you are trying to stick to a modest budget, avoid larger resorts, as these tend to be more expensive. 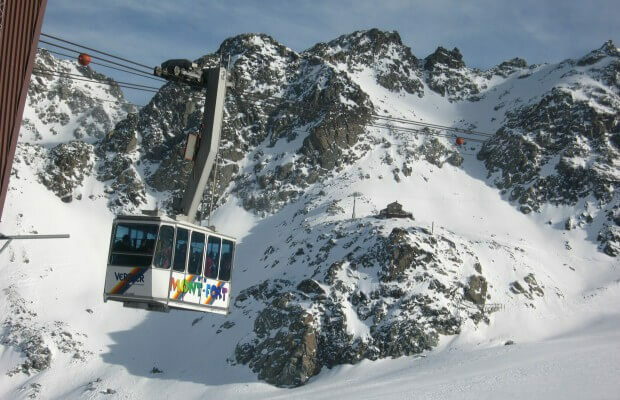 You will find that smaller resorts, such as Andermatt and Villars, are more affordable. As someone who is new to skiing, it’s important that you choose a resort that has nursery slopes. Learning to ski can be tricky, even with the help of an instructor. However, you can make the process easier for yourself by choosing a resort that has lots of slopes for beginners. To find out more about all the best resorts in Switzerland for skiing newbies, have a look at http://momentumski.com and have a browse. You will most probably love skiing, especially if your first time on the slopes is in the fresh Swiss snow. However, instead of buying everything that you need for your trip – clothes and equipment, it’s a good idea to borrow or hire it. Just in case it turns out that skiing isn’t your thing. It can be hard to know what you will need, but if you check out this list, this should help to ensure that you have everything. For clothing, hire or borrow it before your trip, for equipment, you can hire it once you arrive at your resort. However, to skip the long queues, consider pre-booking what you need in advance. Most resorts don’t include lift passes in the cost of you trip, so make sure to book these before you go. If you leave booking your lift pass until you arrive, you will be in for a nasty shock. The prices of passes in the resorts are almost double the price of pre-bought passes. So make sure to order your lift pass before your trip, to ensure that you don’t have to pay the high resort prices. Going skiing for the first time can be a lot of fun, just as long as you are well-prepared, that is. Choose your resort carefully, borrow what you need, and order your lift passes in advance. It’s also a good idea to book in some lessons, to get you up on your feet and confident on the slopes. It's weird that I have let myself get hooked into this year's X factor competition.